On behalf of Médecins Sans Frontières (MSF), an international medical humanitarian organisation that provides emergency medical assistance to populations in distress in more than 70 countries, I am writing to express our position on the Free Trade Agreement (FTA) negotiations between India and the European Union (EU). I understand that both parties have agreed to resume technical discussions concerning the FTA, including the chapter on intellectual property (IP) provisions. India has for many years played a pivotal role in providing a sustainable supply of quality assured generic medicines that are vitally important for public health systems around the world. It is critical that the EU-India FTA agreement remain free of TRIPS-plus measures and heavy-handed enforcement provisions that could jeopardize access to, and production of, affordable generic medicines. Almost 95% of the medicines MSF uses to treat people with HIV, TB, malaria and other infectious diseases are generic medicines. MSF has seen first-hand how the supply of generic medicines from India has dramatically reduced the price and availability of critical medicines, which enabled scale up of life-saving treatment to address major global public health challenges: for example, the price of first line HIV treatment decreased by 99% because of robust generic competition, and generic manufacturers have also enabled major price reductions for new hepatitis C cures, enabling millions of lives to be saved. Since 2010, MSF has expressed concerns about the possible effects that IP provisions proposed in the negotiations could have on the sustainable supply of quality assured generic medicines.1 As talks restart, MSF remains concerned today and would like to reiterate the importance of a moratorium on the introduction of TRIPS-plus measures, and of completely removing additional enforcement provisions from the FTA negotiations. The EU-India FTA negotiations started in 2007, but as talks progressed, MSF and Networks of People Living with HIV highlighted certain provisions that put the timely entry of generic competition at risk, including patent term extensions and data exclusivity. In its response to MSF’s open letter in 20102, the European Commission (EC) Trade Commissioner confirmed that the negotiation should be conducted in the spirit of the Doha Declaration on the TRIPS Agreement and Public Health, and that protecting access to medicines should be taken fully into account in future negotiations3. As a consequence, the EC committed to ‘not pursue the issue of supplementary protection any longer’4 in the negotiations, and to ensure that the FTA will ‘not require India to introduce any kind of data exclusivity provisions.’5 We encourage the current negotiators to maintain this red line to ensure that TRIPS-plus measures, which are detrimental to public health and access to affordable medicines, are not part of the final agreement. In order to ensure that the EU-India FTA will not undermine access to medicines, the additional threats posed by the IP enforcement provisions must be addressed. MSF strongly recommends that IP enforcement provisions, including the controversial border measures, be completely removed from the FTA negotiations. At a minimum, patents, test data and civil trademark disputes should be completely excluded from the scope of the enforcement provisions. It should be noted that the TRIPS agreement only prescribes stringent custom enforcement provisions and remedies for trademark counterfeiting and copyright piracy, and that even the then controversial Anti-Counterfeiting Trade Agreement (ACTA) allowed countries to exclude patents and test data from the scope of civil and border enforcement provisions. 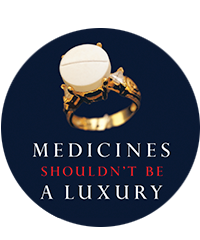 More recently, MSF has become concerned that a February 2018 report7 published by the EC on the protection and enforcement of intellectual property rights in third countries is rolling back the EC’s prior commitments to support production of essential generic medicines and the use of TRIPS flexibilities to address public health needs. This recent EC report criticizes India’s criteria for patentability, compulsory licensing and revocation of patents under the Patents Act, despite the fact that these provisions are compliant with international WTO rules and are intended to protect against the abuse of the patent regime and to enable access to affordable generic medicines. However, the EC’s February 2018 report puts forth recommendations in direct opposition to these commitments, using pressure tactics similar to those employed in the United States Trade Representative (USTR) Special 301 report, which places countries who apply – or even consider applying — TRIPS flexibilities in the interest of public health on a Priority Watch list. MSF condemns these untoward pressure tactics and requests that the EC immediately withdraw the report aimed at undermining India’s right to determine patentability criteria or grounds for compulsory licensing and revocation of patents, which are key health safeguards that help ensure that India can continue to supply affordable generic medicines to MSF and other treatment providers across the world. WTO trade rules already limit the potential for the supply of new generic medicines from India. MSF requests that the EC refrain from implementing any policies or trade agreements that could further jeopardize India’s capacity as the ‘pharmacy of the developing world.’ Instead, MSF requests that the EC protect public health and access to affordable medicines for millions of people around the world. Considering these grave concerns, MSF respectfully requests a meeting with you and your Cabinet at your earliest convenience to discuss these matters in greater detail.